Chinese car manufacturer Qoros has delivered its first customer car less than a year after its debut at the 2013 Geneva Motor Show. 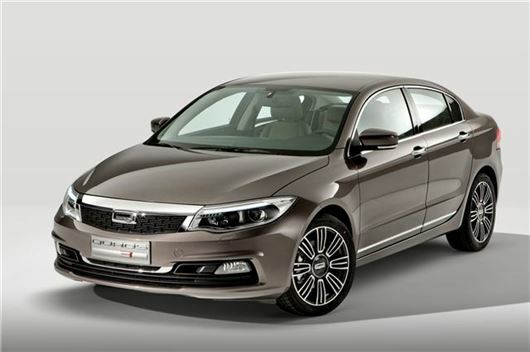 The manufacturer of luxury and executive cars sold its first vehicle – a Qoros 3 - to a Chinese buyer in Shanghai, but the brand is set to come to the UK. The 3 is a saloon which is similar in size to the BMW 3 Series or the Ford Mondeo. It's surprisingly well built, based on the cars we saw at the Geneva Motor Show in 2013, with soft touch dashboard materials and high quality leather upholstery. It's also kitted out with plenty of technology and connectivity. Qoros has also announced that it is to reveal its next model at the 2014 Geneva Motor Show. Details are sparse but it looks to be a hatchback or estate variant of the 3, based on the teaser images revealed so far - which you can see below. This new model will be on sale in China from 2014 and will arrive in Europe later, although a set date is to be announced for the brand's UK launch.